Reigning Serie A champions Juventus have been linked with moves for two Premier League players in the summer transfer window, and it looks like the club will likely get both their targets. Massimiliano Allegri has reportedly been an admirer of Liverpool midfielder Emre Can and Manchester United right-back Matteo Darmian. The situation regarding the duo at their respective clubs favours their switch to the Old Lady of Turin. To add to the club being interested in securing moves for the duo, Juventus CEO Giuseppe Marotta gave updates on both Can and Darmian. 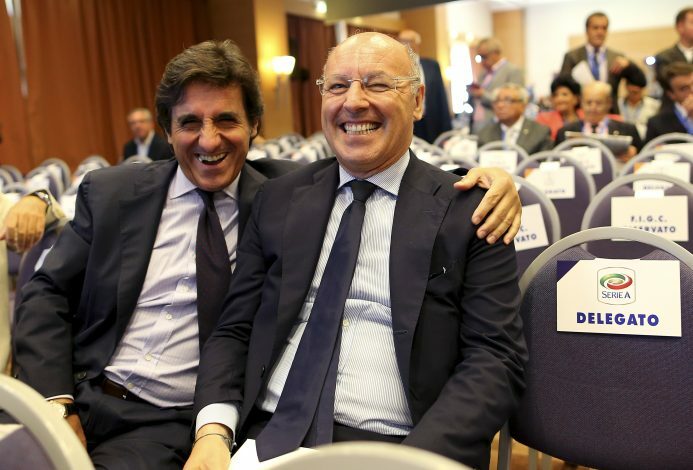 Marotta was asked about the potential chief targets on the sidelines of the Piedmontese Sports Awards 2018. According to Calciomercato.com, he said that the German international is an attractive prospect given the value for money. “He is one of the players who is most attractive both for value for money and the fact that he is out of contract in June,” the Juve chief stated. Can hasn’t agreed on a new deal at Anfield despite the club wanting him to stay for a long time ahead. The 24-year-old has also attracted interest from other European clubs, and Marotta claimed that it’s up to the player to make up his mind. “It’s normal that there are other clubs interested but the fate of the player is in his own head. If he decides to come to Torino we will be very happy otherwise we will look elsewhere,” the CEO added. On the other hand, he also spoke about Darmian, who made a move to Old Trafford under Louis van Gaal in 2015, but has struggled to become the first-choice right-back at the Mancunian club. Amid this interest from Juve, Red Devils’ manager Jose Mourinho will be happy to let the ex-Torino defender return to his homeland for a substantial fee.